Same day reservation, plenty of room in the new 20 site section. Entry through the commercial gate was easy to navigate, make sure you "pre-stage" at the stop sign and wait for permission to advance from the sentry, (even though you have been creeping along at 3-5 mph for the last 100 yards with no one at the gate ahead of you). There are 2 lanes with inspection pits that you have to straddle, and not drive between, unlike any other base that we have encountered, although the sentries gave no direction to guide us. On the second day we left via the commercial gate to visit the Camping World, which is just 1/4 mile outside the gate, and upon re-entry we were denied because we were only driving our truck and not pulling an RV. The sentry held our ID's, directed us to turn around and met us at the exit lane to return our ID's as we had to go to another gate, which is on the other side of the base. As a 25 year veteran retiree I understand procedures, but this was the first experience like this after visiting many military installations nationwide via the commercial or traditional gates. We stayed for 3 weeks in March. Make sure you use the commercial gate when entering the base with your rig. The famcamp is located on the east reservation (left turn once thru the gate) and it is quiet with roomy sites. However, but some sites are laid out incorrectly - they are paired with utilities in the middle. So when a rig is backed in, only 1 will have the utilities on the correct side, the other rig will need to run water, sewer, electric under their rig to the correct side. Wifi is "ok" if you are close to the office. The bathrooms were a surprise - a communal dressing room (no privacy)! Only 2 showers available but the water was hot. However, as far as I could tell the showers were only cleaned once during the entire stay! Only 2 washers, but 4 dryers available. There are 20 new sites being constructed, hopefully with a better layout. Overall, it was a good value and we enjoyed our stay. This remote site on the far side of the base is in dire need of repair There is a lot of deferred maintenance. Sewer pipes are exposed right at the surface of the ground. The sewer connections at our site were broken and leaked when you dumped your tanks. Many of the sites are backward meaning if you locate on one of these sites, your front steps will open to the sewer fittings and your neighbors back. There appears to be plans to refurbish the park which is sorely needed. Nice FAM camp but seems to be a lot of long term people. Only a few sites that were available and we were fortunate and got one. Nice level sites but roads need to be improved with some grading/gravel. It seemed that they haven't performed any general grounds maintenance in awhile. If you have a towable camper be aware that some sites you will have to pull in and disconnect, turn your vehicle around on the grass, a bit bazzar (refer to some of the photos). Wi-fi isn't that great but used my-fi Verizon and had great signal. Vicksburg, Shreveport and Bossier down the road a bit. I would go back if I could get a space. D.C. left this review using the Directory software: - Donna, the FamCamp Manager, was really friendly and helpful. Her directions to the BX and Commissary were perfect! Think the FamCamp office had more amenities than any other I've ever seen. The BX gas station and Shopettte just down the street were very convienent! Only stayed one night but found the place nice. The staff was VERY friendly and helpful. The cost has gone up to $18 a night. Very convenient famcamp. Sites very close if all fill up. Staff helpful. Upon arrival on a Sunday I went to talk to the Camp Host who informed me that there was someone on duty 7 days a week now. All arrivals should check in at the FAM CAMP main office during business hours before selecting an open spot. We told the on duty host which spot we desired but she informed us that that particular site was taken. There is NO advance reservations accepted at this FAM CAMP so I still don't understand that one. After finally setting up our site, I went back to the office and paid in full. She never really provided me any information unless I asked her for it which I thought was odd. Most FAM CAMPs provide you packets of information upon payment. Hospitality gets a low mark from us. Cleanliness was above average. FAM CAMP was about 8 miles from the base amenities but no really a bother. Commissary, Fitness Center and Museum were excellent. Pros: Large, level concrete pads for RV parking. New (4 years old) building that houses the office, small lounge, showers, and laundry. Ice machine provides free ice. Very fast Wi-Fi (almost 4 Mbps.) Campground is wooded which provides some shade. Each site has its own garbage container. Full hookup site for only $16 while many FamCamps are charging $20 or more. Cons: Many long-term residents with trashy sites. Gravel roads. Only 2 washers for 42 sites which is not sufficient because of the large number of long-term residents. A large number of sites share their utility area with another site, bringing those pair of sites close to each other. The FamCamp is 4 miles from Industrial gate, 7 miles from the BX/Commissary. Power drops from 120 volts to 107 volts on hot days when many A/C units are in use. Weak to medium cell phone and air card signal. Trees could block satellite TV reception at some sites. Noise from B-52 flight operations. Friendly and helpful staff. Located deep inside the base, this campground is very quiet. We had a pull through site with a concrete pad, picnic table, and full hookups. The clubhouse has shower facilities, a laundry, and TV room. This campground fit our needs and I would definitely return. We only overnight-ed here, and next time I want to visit the 8th Air Force museum. It looked very interesting, but we didn't have time to enjoy it. There is a nice commissary and PX here. The officer's houses here are beautiful; built in the French colonial style. We just arr'ed for a 2 wk stay. So this is just a quick, emergency info entry for someone reading up on Barksdale before coming here soon. It's full !Packed !Overflowing. If you're inbound & reading this- pls call first. No they don't take reservations but they're great with current info & advise. They've been this full for several weeks according to the staff. There are no real RV sites empty; and there are MH's & RV's in every possible overflow spot that can reach electricity. My retiree neighbor says most of the "campers" are civilian contractors working on the new FEMA trailer/mobilehome "city", being constructed next door to the Famcamp. Pls don't get me started on civilians using the FamCamp. That's for the community blog section. Paul & Teresa were super helpful getting me squeezed into a makeshift spot that still got us w/e. I see some trailers that have been here for yrs. I really love this FamCamp & the staff but it's turning slowly into a "trailer park" in my opinion. Another nice, quiet campground with very friendly staff. Facilities were clean and modern. WiFi was quick, and FREE! 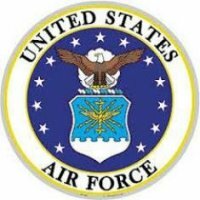 The AFB has everything you would want. 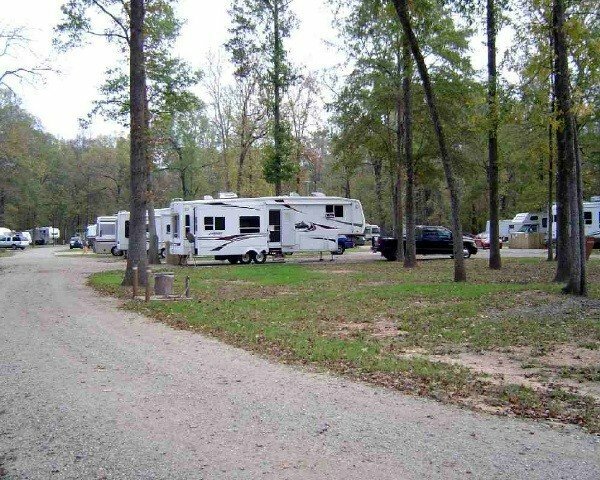 The FamCamp is located on the quiet, wooded side of the base away from all the activities. It's been 5 years since we were last here and the improvements really brought the campground up in condition and ratings. Will always stay here when in the area. To be fair to all wanting to use this RECREATION facility, they need to start enforcing their "30 day stay limit" during busy seasons. First review of 2010 I see. Barksdale Famcamp is still in great shape. Office area, computers, TV, restrooms, showers, are all clean and well cared for. The new FEMA trailers used for rentals are full, but do not seem to have overburdened the facilities. There are still several LONG time (years) residents and several civilian contractors taking up nice sites. (These bother me, but as long as there are openings when we come, I guess I shouldn't complain) We are in 1 of the "new" sites, closest to the road. The wi-fi signal is lower here, but usable. Just like someone else has noted, the electricity is low and fluxs at night (brown downs, etc.) Nothing damaged, but we don't have any real high tech, high power electrical gizmos. As noted in the "Discussion" section, BAFB is not using the scanners during the day. The new Bio-metric ID cards are only checked after 5:00 pm. Main gate construction is completed. The reworked Famcamp sites/roads are holding up well in the extensive rains BAFB has had this winter. The unpaved RV storage lot was underwater however. Very muddy, very hard to "extract" our TT. I'm on the waiting list at 3 other paved, military RV storage areas. Nice RV park the only problem I had was low voltage. I checked my site and 2 others and the voltage was 105 to 109. I did report it so I hope it has been fixed. The Alaskans are back to Barksdale, our home Fam camp away from home. Everything's just about like we left it. Facilities still clean & well kept. Bathhouse, showers, wi-fi all working top notch. At 95 degrees, we sure love their never ending ice-machine. Great Fam Camp. The only new glitch is the Global Strike Command (ACC, the old SAC, and Space Command combined) that's HQ'ed here now has got some new requirement to register into a brand new id cardholder Data bank. After 15 Oct (so we're told by base Sp's) you can not enter BAFB without being registered into the new system. It requires electronic finger printing and registering your ID card into this new data bank. We tried twice but no luck. "the system's down" - you know the drill. The best part is that you can't do it as you come on base but need to go sit in a separate line and wait to be re-enrolled. Seems like a lot of crapola to me, but SAC always had some extra security stuff that nobody else did. Hang on... BAFB's still not registering vehicles by the way. This was are first visit to a FamCamp, found it to be very clean and accessable. Entering the base was just what you would expect and the security staff was very helpful in guiding us to the camp itself. The onsite managers were not to much help but once we got set up and investigated all was good. Would recommend this camp if ever in the area. Base exchange was awesome, you won't want for anything! We liked this FAM Camp. The staff were just so-so--didn't seem real interested in helping, but not rude either. We got a pull through right near the laundry room and clubhouse, which was nice. There was a nice sized book/magazine exchange and computers to use, if you need them. There were lots of empty sites while we were here. There are only two washers in the laundry room, so they stay pretty busy. Nice campground but too many rental travel trailers are on sites. Some sites have hazards such as falling tree limbs that the management want you to sign a waiver to stay in those sites. WiFi is great and free. Office and bathrooms/shower facilities are clean and fairly new. The pads are concrete, but the drives are gravel. Manager was nice and helped us find a spot for our big rig. Not all sites can handle a 35+ motorhome. We came here to evacuate from the hurricane on our way to Fort Worth and enjoyed our stay. We would come here again. The only improvements that I could recommend would be to cut down the dead trees that restrict certain sites and I would allow reservations. This campground is first come, first served. You roll the dice if it's a holiday weekend or evacuation for the lower part of the state. During our visit, the campground filled up very fast.